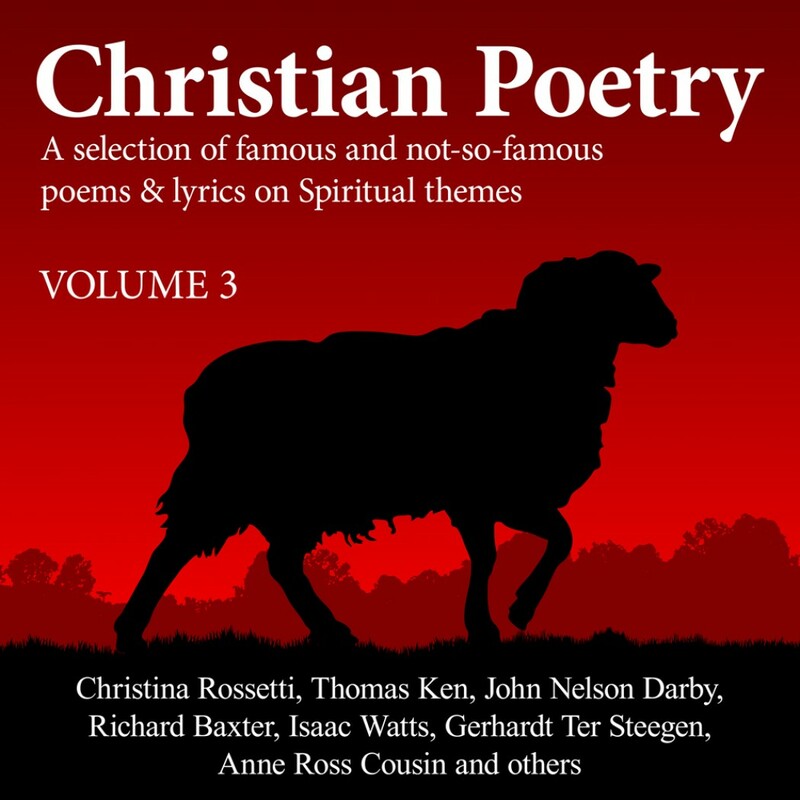 Christian Poetry Volume 3 by Various Artists Audiobook Download - Christian audiobooks. Try us free. This Collection of 63 poems by various authors including Christina Rossetti, Thomas Ken, John Nelson Darby, Richard Baxter, Isaac Watts, Gerhardt Ter Steegan, Anne Ross Cousin and many others has been brought together in order that these spiritual truths and impressions, presented in poetical form, will comfort and edify God’s people as they wrestle daily with the world, the flesh, and the devil. to hear the feelings in our hearts echoed back to us, to be reminded of our Lord’s love, will comfort the soul and bring encouragement. Some of the poems and lyrics included will be familiar as they have been set to music and become famous hymns – as John Newton puts it ‘these are not ‘odes’, but are truths put plainly and simply for ordinary people to understand’. Some others are perhaps more deep and thought- provoking. Perhaps listening to them being read, instead of being sung will allow you to appreciate the sentiments in a different way. This Volume contains 63 poems by various authors including Christina Rossetti, Thomas Ken, John Nelson Darby, Richard Baxter, Isaac Watts, Gerhardt Ter Steegan, Anne Ross Cousin and many others. This audio edition is produced with the prayerful desire that the Blessed Spirit of God may be pleased to use it for Christ’s Glory and for the comfort, encouragement and edification of God’s people. These poems are read by Alex Wyndham, Paul Ansdell, Anita Wright and Stuart Packer. Copyright Words by the Wayside, 2015. 7 Dost Thou not care? 10 Who shall deliver Me? 27 Blest cross! blest sepulchre! 44 Ο Christ, what burdens bow'd thy head!